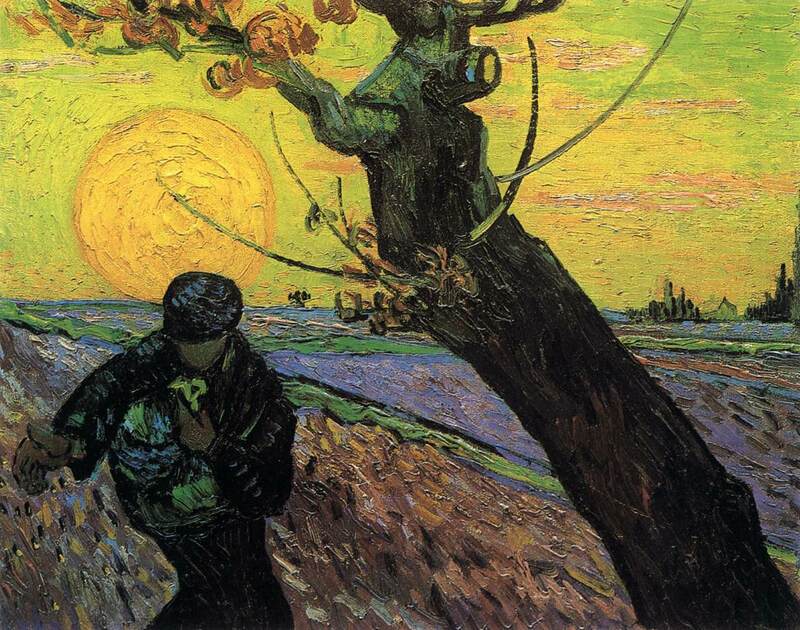 The Sower by Vincent Van Gogh, November 1888, Oil on canvas 64 x 80.5 cm, Rijksmuseum Vincent Van Gogh, Amsterdam. Meditation: How good are you at listening, especially for the word of God? God is always ready to speak to each of us and to give us understanding of his word. Jesus’ parable of the sower is aimed at the hearers of his word. There are different ways of accepting God’s word and they produce different kinds of fruit accordingly. There is the prejudiced hearer who has a shut mind. Such a person is unteachable and blind to the things of God. Then there is the shallow hearer who fails to think things out or think them through; such a person lacks spiritual depth. They may initially respond with an emotional fervor; but when it wears off their mind wanders to something else. Does God’s word for you go in one ear and out the other? Another type of hearer is the person who has many interests and cares, but who lacks the ability to hear and understand what is truly important. Such a person is for ever too busy to pray and to listen and reflect on God’s word because he or she allows other things to occupy their mind and heart. Whose voice or message gets the most attention from you – the voice of the world with its many distractions or the voice of God who wishes to speak his word of love and truth with you each and every day? Jesus compares the third type of hearer with the good soil that is ready to receive the seed of his word so it can take root and grow, and produce good fruit. A receptive heart and open mind are always ready to hear what God wants to teach us through his word. The “ears of their heart” and the “eyes of their mind” search out the meaning of God’s word for them so that it may grow and produce good fruit in their lives. They hear with a listening ear and teachable spirit (Isaiah 50:4-5) that wants to learn and understand the intention of God’s word for them. They strive to tune out the noise and distractions of the world around them so they can give their attention to God’s word and find nourishment in it. They listen in order to understand. God’s word has power to change and transform each one of us if we receive it with trust (a believing heart) and allow it to take root in our inner being (the depths of our heart, mind, and soul). God’s word is our daily food to nourish and strengthen us on our journey of faith to his everlasting kingdom. Do you hunger for God’s word? 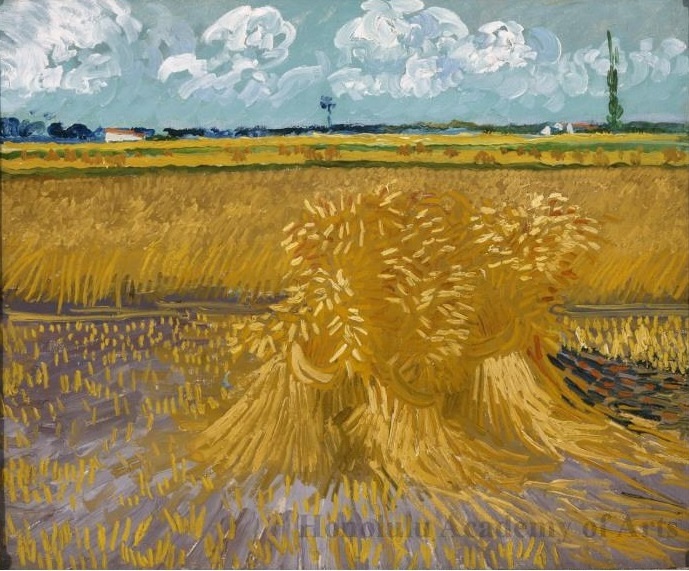 Wheat Field by Vincent Van Gogh, June 1888, 55 x66 cm. ; Honolulu Museum of Art. 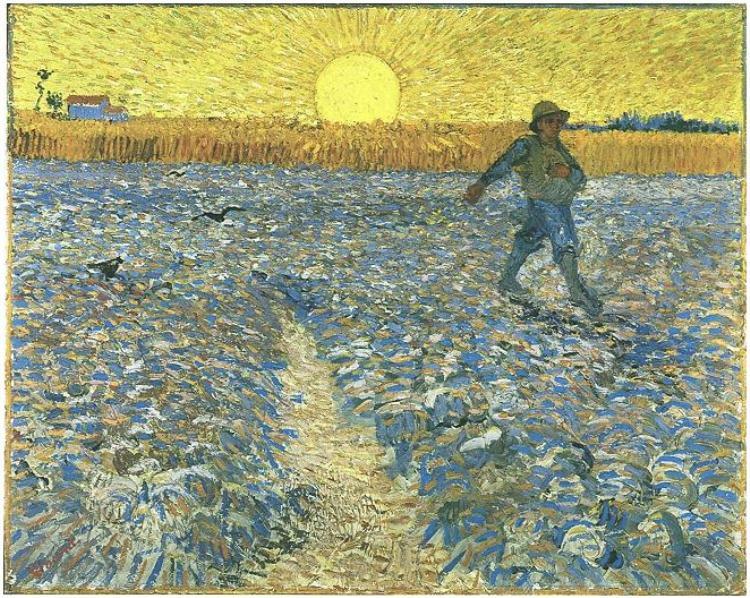 This entry was posted in Art, Bible and tagged art, Bible, Christian, Jesus, Perseverance, Sower, Vincent Van Gogh. As always, great blog. I often think about the struggles Van Gogh, a Christian with mental problems, must have gone through in his life and hurt for him.